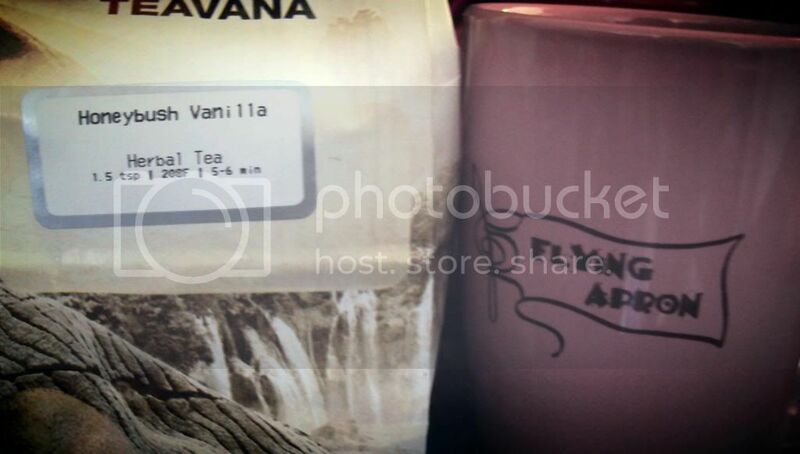 Mat bought me a bag of Teavana's Honeybush Vanilla over the weekend. After having one cup - I am hooked! For a herbal tea - it is really rich, almost like a black earthy tea. There is a sweet note to it, but nothing artificial tasting like some teas. I like it with even more vanilla flavor in the form of vanilla almond milk, however on it's own it is pretty good. I am going back to get more! Say yes to all things vanilla. I am not even a tea drinker, but I would have to say yes to that. I gotta bring you some to try! It is might good!